Avast NG is a hardware based virtualization solution to provide more isolated test space. It is capable of running each Windows process in standalone safe virtualized environment (VM) and fully integrated to your desktop. Each process is executed in its own instance of VM, which means totally isolated from your other applications. This feature now powers Avast DeepScreen to improve better scanning of unknown programs (better detections). Ok, sounds nice. Then I found several problem reports from users about this NG thing. 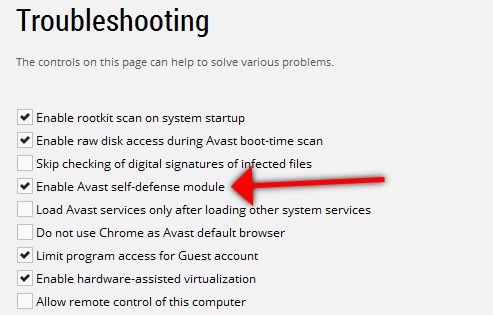 For example, avast deleting users VirtualBox hard drives (in certain situation), NG process/service using max CPU for long period of times (sounded to me that those weren't normal "NG building up" CPU cycles), and finally what prompted me to write this topic: solution for system protection to 50% of hard drive with avast?. For me too the System Protection was/is set to 50% when NG is enabled. That's about 220GB of space of my hard drive. Of course it's _max_ value, if available, which I don't have by the way. I started watching the amount used for System Protection, aka System Restore. Now for few weeks (I've not rebooted, I use sleep mode) the "current usage" has been going from 0GB to about 16-20GB. The way the value behaves is that when it goes to about 16-20GB, next it is back to 0GB and starts growing until the 16-20GB and it goes to zero again. This cycle repeats itself over and over. FYI, I've had more space available when the value has gone to zero, not ~220GB but plenty more than ~20GB. The negative thing about this? Well, every time when System Protection goes to 0GB, ALL your restore points are GONE. ALL. I've seen the "current usage" going from 0 to the about 16-20GB and back to zero in 1-2 days. So, this renders the Windows System Protection totally useless. I don't understand who in Avast thought that this is a good thing. Incidentally just before I upgraded to the 2015 version and NG, I happened to check the system protection restore points (I was checking it for another thing) and there were many older restore points available. Few days using 2015 and NG, after I stumbled to the "system protection to 50%" topic I checked the settings and at the same time noticed that ALL of my restore points were gone. Additionally it definitely was affecting normal use of Windows by slowing things down more even with a fairly powerful pc. It's "uninstall NG time" I'm afraid. Back to using only File system shield.. that's all you need. Things have changed in the latest version. All I can see there regarding the discussion in this topic is the highly speculative "Well NG will be moved away from the system restore points hopefully in R3 in a few months." comment from normal avast user. Well, I already uninstalled NG. Poorly designed/executed feature got stable status too soon. "Well NG will be moved away from the system restore points hopefully in R3 in a few months. "[/i] comment from normal avast user. No. 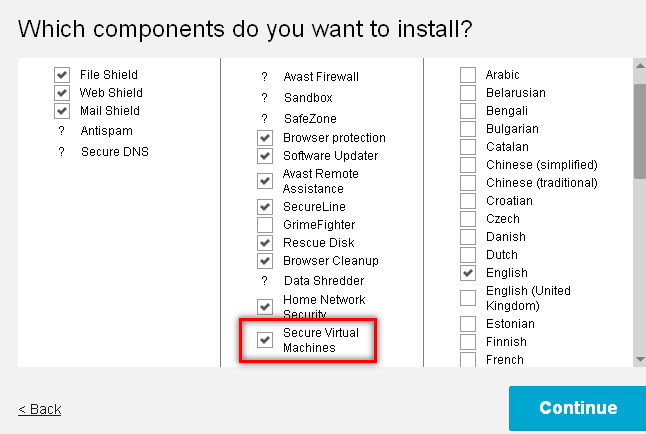 It is the Avast Chief Product Officer, Vlk, isn't it? What? It's from user "Steven Winderlich". Vlk hasn't even replied in that linked topic! Ok, that's from another topic. So it's at least 3 months before NG works without system protection/restore. The burden of proof is on you. Bob, with all respect, this is not the first time you are a bit lost with technical details. It has been stated, in the very same topic you linked to, that NG without system protection/restore is probably coming in "R3" on June/July. If not, then I'd suggest you first try it before putting your foot in your mouth. I'm sorry but your screenshots are not proof in this matter. All I can see from them is that the NG seems to have had a name change. Is NG going to work without system restore after this beta? No, sorry, this is planned for R3 (~June). That's 10 days ago. 6 days after that, AVAST 2015 R2 RC1 topic was started. This is the topic and version of the program you claim that "NG works without system protection/restore". Notice the versions I've marked with red. R3 is not in public yet. Changelogs of all public releases of R2 do not have any notation of "NG without system protection/restore". I'm inclined to believe Vlk, the COO, former CTO, on this matter. And I don't think that the development of the feature went from estimated ~3 months to just 6 days suddenly. It could have of course (bad planning/miraculous dev advance/etc. ), but nothing so far indicates that. As I stated in my last reply, if you haven't tried this release, you aren't really speaking from experience.